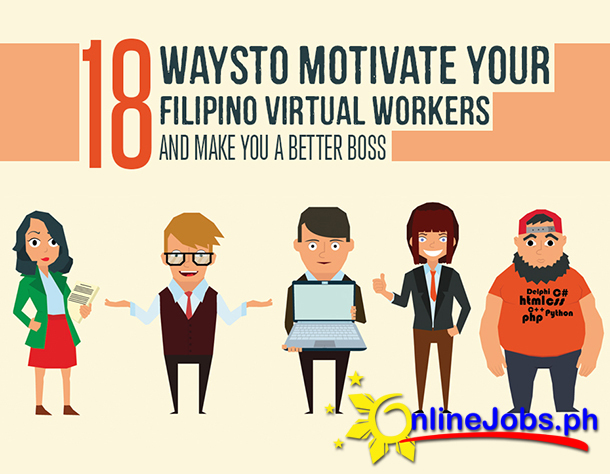 Hire the top Filipino digital marketing specialists for as little as $550 full time. As an experienced project manager, I take pride in completing assignments on time and with accuracy. I help clients get MORE from their online marketing efforts. I'll work closely with you to identify new or missed opportunities for achieving more favorable results even just from your existing marketing budget. I am an E-commerce and Facebook Ad Specialist with a passion for helping business owners and entrepreneurs grow their business online. Whether you're looking to begin a Facebook campaign from scratch or to improve on an existing one, I can help you succeed at this. Distinctly competent professional with diverse experience posed to transition to Digital marketing and able to Offer outstanding administrative skills as well. Adept at managing events promotion, preparing agendas and following up on action items. Possess strong quantitative problem-solving and prioritization skills. My main objective is to provide efficient service to online entrepreneurs, digital marketers, and anyone needing help with setting up or running their websites. You will benefit from my 12 years of experience being a Virtual Professional. Been running Facebook Ad Campaigns for the last year. Motivated and Determined to Succeed. I am Focused, Meticulous and very detail-oriented in my work. Digital Marketing, Project Management, SEO, Social Media Management, CMS Management, Photo & Video Editing, WordPress Management, Gen. VA, Data Entry, Transcriber, Sales, Customer Service & Email Support, Telemarketing, Appointment Setting, Research. I have worked as a Virtual Assistant for the past 3 years. I have been trained to handle Administratilve tasks, Recruitment, Content Writing and Digital Marketing. I help E-commerce business owners add another 20-30% of their monthly revenue using Facebook Ads with effective optimization and scaling strategy. Are you looking for someone that can help your online business grow through the new and effective way of digital marketing such as Facebook Ads? Top Digital Marketing Strategist from Cebu, Philippines. RUBEN LICERA is one of the Philippine's leading digital marketing strategists hailing from the queen city of the south -- CEBU. I have an ability to grow with the job, accept constructive evaluation and willing to work to all kinds of schedules. I've worked in a Digital Marketing Company for 5 years and acquired knowledge on how to manage and optimize different campaigns. With 9 years of experience in digital marketing, I've worked with clients from US, UK, Australia, Canada, and the Philippines. I have taken roles from News Editor, Campaigns Manager, Head of Digital Marketing Department, and Digital Marketing Manager. My strength is in making creative and effective concepts for visual ads either for web , prints or multimedia. With years working as a graphic designer, i developed my skills in creating not just graphics but powerful and effective psychographics that will help my client to market their business effectively. *I can do Financial Statements Reporting and Analysis. *Prepare asset,liability and capital account entries by compiling and analyzing account information. *Document financial transactions by entering account information.